Stephen Hawking once said “Philosophy is dead”. But claiming that philosophy is dead is itself philosophy. Hawking’s comment is remarkably like that of Isocrates who some 2,300 years ago followed the sophists. He taught rhetoric and oratory and did not much care for Plato’s new-fangled approach to thinking and education or his definition of philosophy. Isocrates certainly did not like Plato’s attacks on his school. But Plato prevailed even if he did make use of “fake news”. 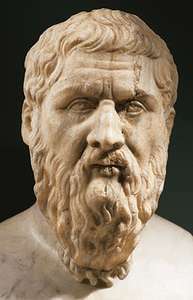 Because of Plato’s attacks on the sophists, Isocrates’ school — having its roots, if not the entirety of its mission, in rhetoric, the domain of the sophists — came to be viewed as unethical and deceitful. Yet many of Plato’s criticisms are hard to substantiate in the actual work of Isocrates; at the end of Phaedrus, Plato even shows Socrates praising Isocrates (though some scholars have taken this to be sarcasm). Part of the issue is semantics. Philosophical thinking by a physicist remains philosophy. (And observations and reasoning by philosophers would still be physics). One cannot even begin to undertake the process called science without a philosophy. One can make observations and report them as perceptions but whether the perceived observations are valid or not are a matter of philosophy. Linking observations – or perceptions of observations – requires a philosophic acceptance of causality. Causality itself requires an acceptance of the flow of time which remains a philosophic question even when asked by a physicist. The languages used in describing observations (including mathematics) and in reasoning itself are underpinned by a philosophy of language. Even the simplest of observations requires the observer to have an underlying philosophy, just to be perceived as a relevant and valid observation. Communicating such observations are even more dependent upon the existence of language having a philosophy. Here is a second argument due to Aristotle: Those who deny the utility of philosophy, are doing philosophy. The point is less trivial than it may sound at first. Weinberg and Hawking have obtained important scientific results. In doing this, they were doing science. In writing things like “philosophy is useless to physics,” or “philosophy is dead,” they were not doing physics. They were reflecting on the best way to develop science. The issue is the methodology of science: a central concern in the philosophy of science is to ask how science is done and how it could be done to be more effective. ….. They express a certain idea about the methodology of science. Is this the eternal truth about how science has always worked and should work? Is it the best understanding of science we have at present? It is neither. In fact, it is not difficult to trace the origins of their ideas. They arise from the background of logical positivism, corrected by Popper and Kuhn. The current dominant methodological ideology in theoretical physics relies on their notions of falsifiability and scientific revolution, which are popular among theoretical physicists; they are often referred to, and are used to orient research and evaluate scientific work. ….. They express a certain idea about the methodology of science. Is this the eternal truth about how science has always worked and should work? Is it the best understanding of science we have at present? It is neither. In fact, it is not difficult to trace the origins of their ideas. They arise from the background of logical positivism, corrected by Popper and Kuhn. The current dominant methodological ideology in theoretical physics relies on their notions of falsifiability and scientific revolution, which are popular among theoretical physicists; they are often referred to, and are used to orient research and evaluate scientific work. All of human thought builds on implied philosophies; on assumptions of reality and observations and on implicit philosophies embedded in the logic of our languages. There is no branch of science which does not need fundamental assumptions which are taken as being axiomatic. There is no branch of science which does not have fundamental “rules”. It is only the explicit questioning of the underlying assumptions which we label “philosophy”. But the philosophies exist whether the assumptions are questioned or not. Physics of any kind is not possible without an underpinning philosophy of physics. Philosophy is integral to science and to physics. There can never be a fundamental assumption made without there first being a philosophy. And, of course, philosophy precedes physics in the dictionary. This entry was posted on January 23, 2019 at 10:08 am and is filed under Philosophy, Physics, Science. You can follow any responses to this entry through the RSS 2.0 feed. Both comments and pings are currently closed.